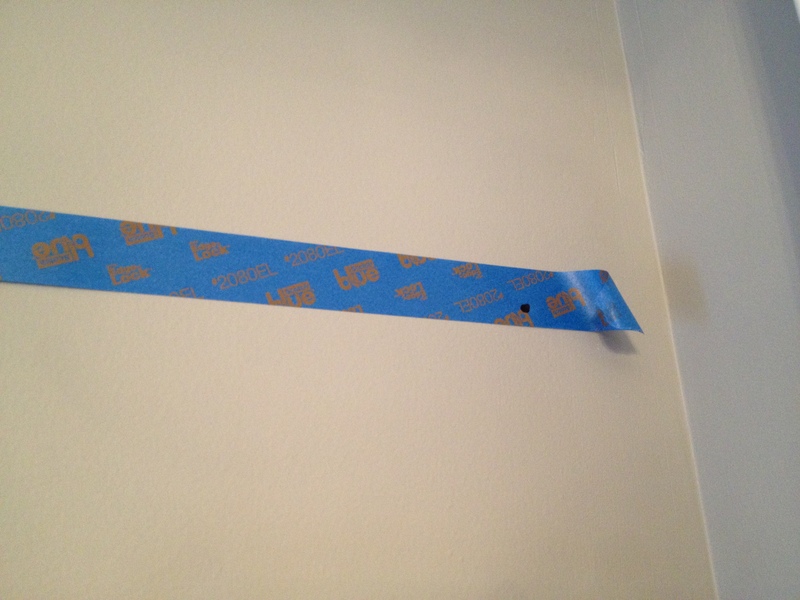 It can be tricky to hang any wall decor that has 2 fixed D-rings; especially by yourself. 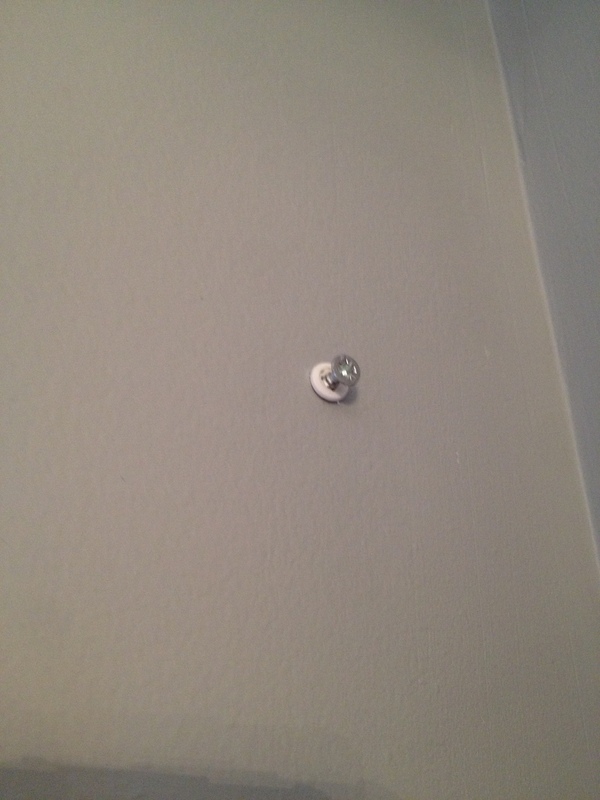 I have an easy tip to ensure the screw mounts are the exact distance you need them to be. And, you can do it by yourself… first try! 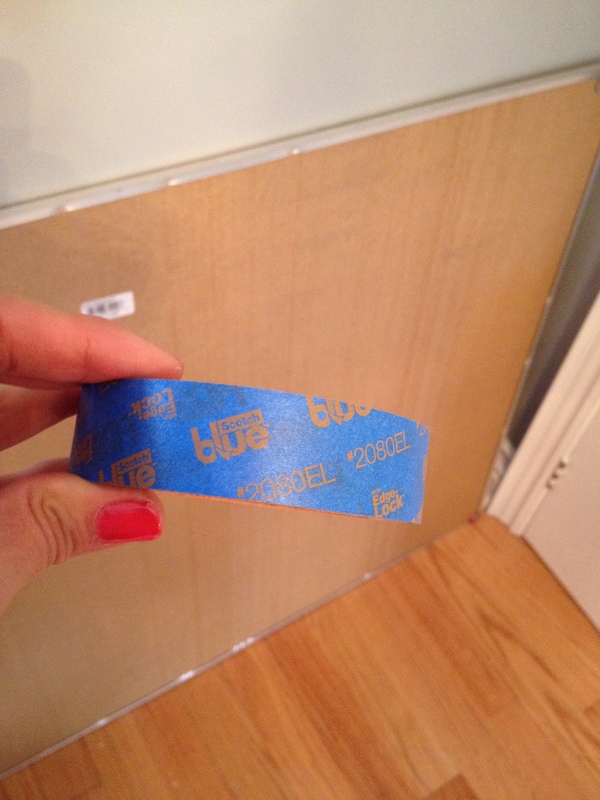 Grab a roll of painter’s tape. 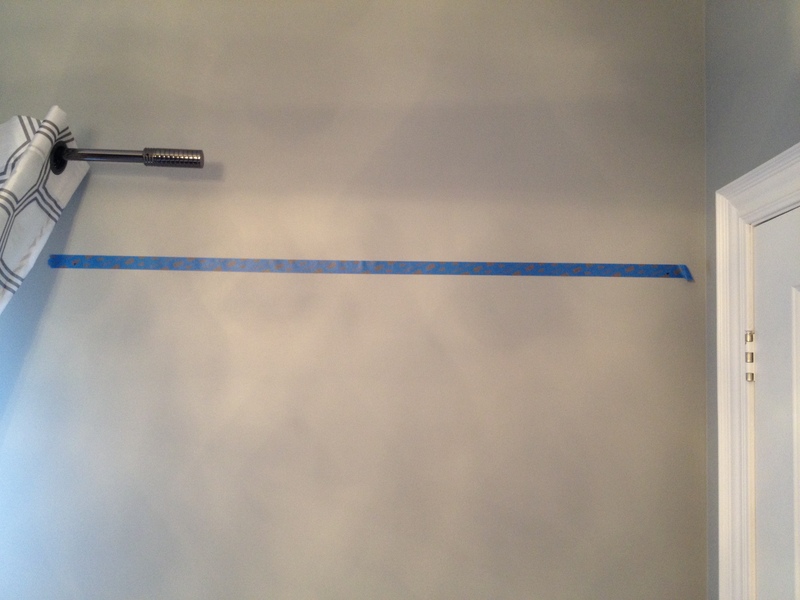 Put a strip of it across the item you want to hang. Make sure that it covers the 2 rings. 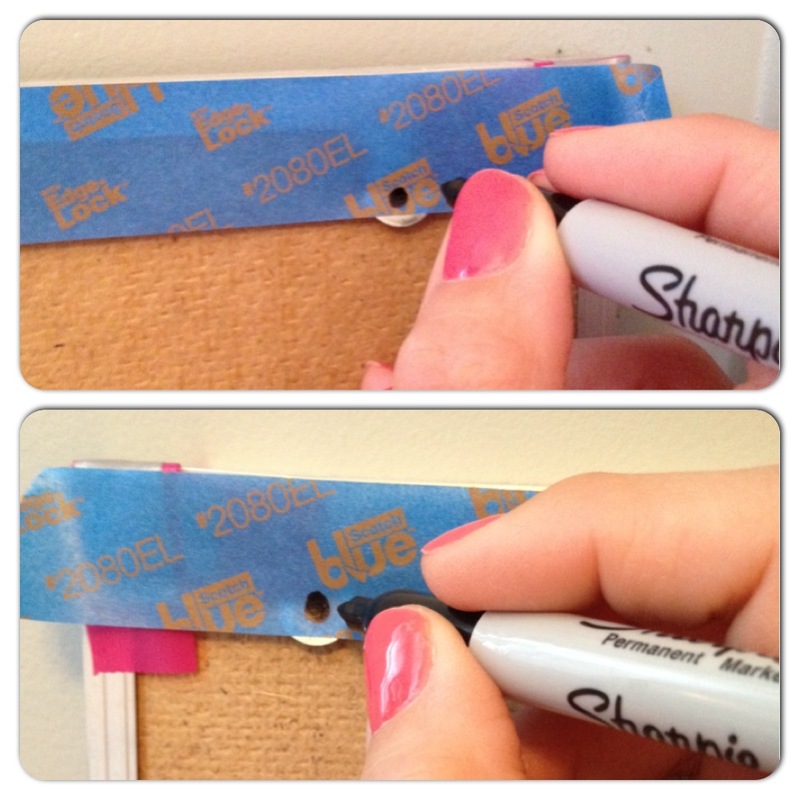 With a marker, make clear dot to indicate the location of the screw holes. 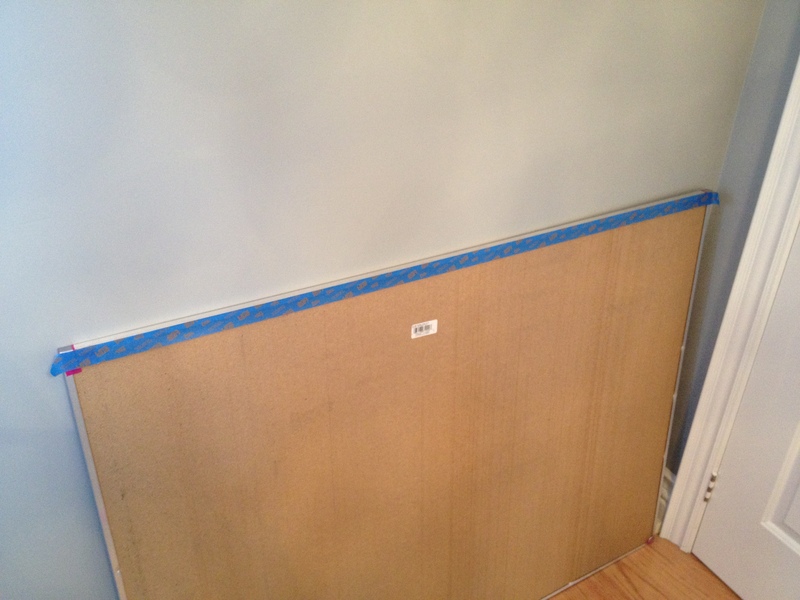 Take that same strip of painter’s tape and apply it to the wall where you want to hang the item. Use a level to help you ensure an even line. Now you can see , without measuring, where you have to drill, so the screws line up perfectly with the D-rings. 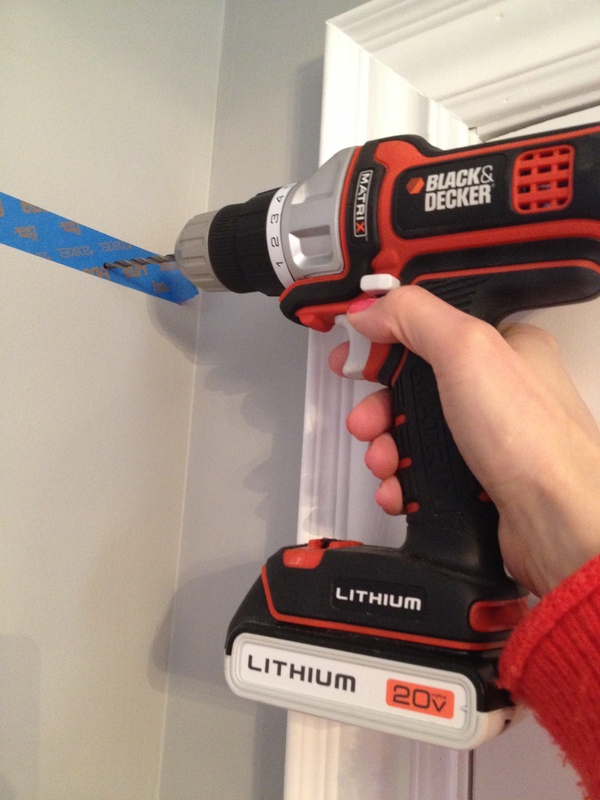 Now drill a hole through the mark for your wall anchor. P.S. I absolutely LOVE this cordless drill by Black & Decker. I highly recommend it if you are looking for one. Clean hole, in the perfect spot. 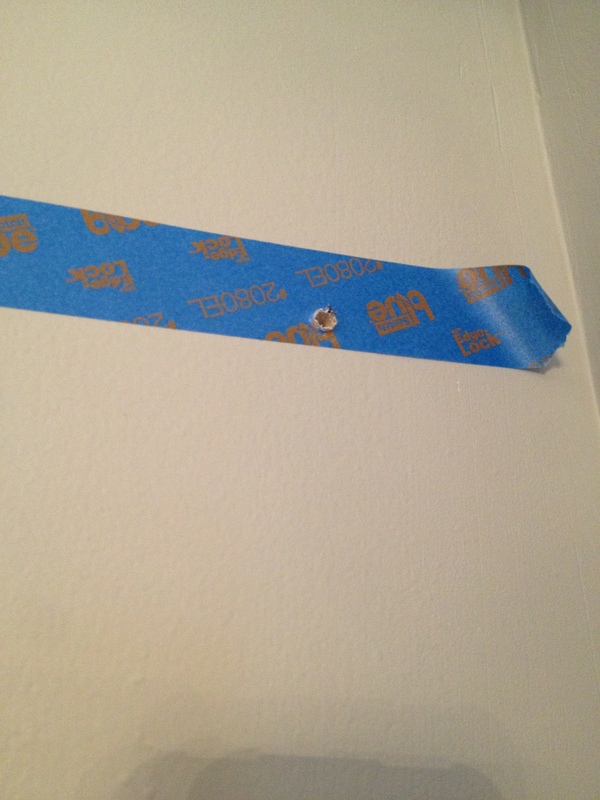 Remove the tape, tap in a wall anchor & screw in the screw… obviously leaving enough room for the item to hang on it. 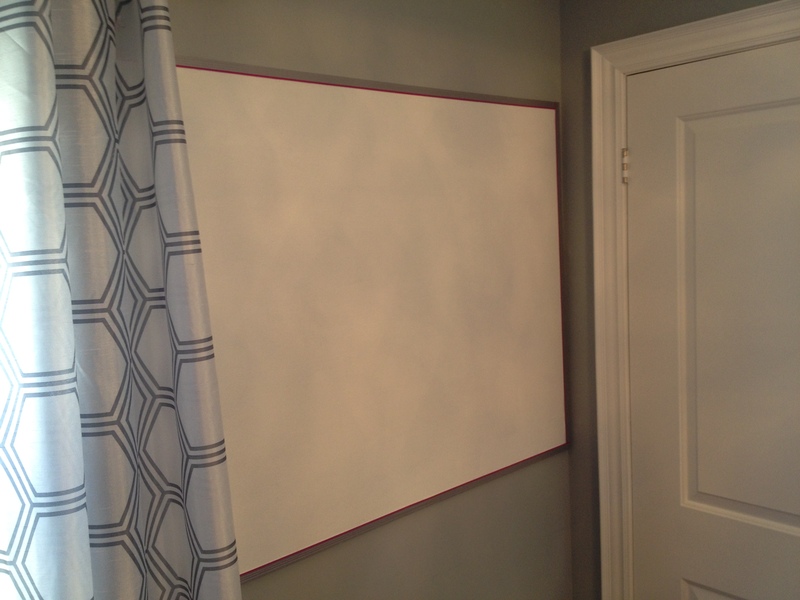 In no time, my bulletin board is up and level.